Caesar Augustus Rodney served as U.S. attorney general from 1807 to 1811. His term as attorney general was unusual in that he served in both the Jefferson and Madison administrations. A member of a prominent Delaware family, Rodney held many positions in state government as well as in the federal government. Rodney was born on January 4, 1772, in Dover, Delaware. 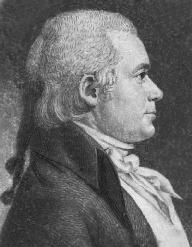 His father was Thomas Rodney, an attorney, politician, and member of the Delaware Supreme Court. Rodney was named after his uncle, who was a delegate to the Continental Congress, president (governor) of Delaware, and a key signer of the Declaration of Independence. Rodney graduated from the University of Pennsylvania in 1789. He then studied law under Joseph B. McKean in Philadelphia and was admitted to the Delaware bar in 1793. He practiced law in Wilmington and New Castle for the next few years. Rodney, like his father and uncle, was attracted to politics. He was elected to the Delaware House of Representatives in 1796. He served in the U.S. House of Representatives from 1803 to 1805. He was a staunch supporter of President Thomas Jefferson and sided with the Republicans in their political battles with the Federalist Party. Rodney served as one of the House managers in the Impeachment trials of Judge John J. Pickering of the U.S. District Court for New Hampshire and Associate Justice Samuel Chase, the only Supreme Court justice ever tried on a bill of impeachment. Both judges were Federalists and the impeachment trials were politically motivated. Pickering was found guilty, but Chase was acquitted when moderate Republicans abandoned their party on the issue of political rather than criminal impeachments. Jefferson appointed Rodney attorney general on January 20, 1807, midway through his second term. The last two years of the Jefferson administration were relatively tranquil in the domestic sphere. President James Madison, who was a close friend and political ally of Jefferson, took office in 1809 and asked Rodney to continue in his post. Rodney resigned his position on December 5, 1811. During the War of 1812, Rodney commanded a company of volunteers in defense of the city of Baltimore. He returned to the U.S. House of Representatives in 1821 and was elected to the U.S. Senate in 1822. He resigned from the Senate in 1823 to accept an appointment as U.S. minister to the Argentine Republic. He died in Buenos Aires on June 10, 1824. U.S. Department of Justice. 1985. Attorneys General of the United States, 1789–1985. Washington, D.C.: U.S. Government Printing Office.